Growing up as a child in Papua New Guinea instilled in Louissa a sense of adventure, an independent spirit and an innate ability to get along with people from a variety of cultures and backgrounds. This spirit led Louissa to work as a therapist with kids with disabilities in India, work in a team assessing violent offenders in a psychiatric prison in London and has also seen her into, and thankfully out of, numerous adventures in various parts of the world. Louissa has now been working in the general insurance industry for over 14 years. Her background of experiences gives her a unique perspective and this combined with her curiosity and thirst for knowledge has served her, and her clients, well. Over this time Louissa has worked with ASX-listed companies with turnovers over $700m as well as small growing businesses and start-ups; with industries such as property owners and investment managers, hoteliers, food manufacturers, veterinarians, manufacturers, importers/exporters, car dealerships, professional services organisations and industry associations. Louissa founded Lantern Insurance Advisers with a vision of creating a company that could give back. 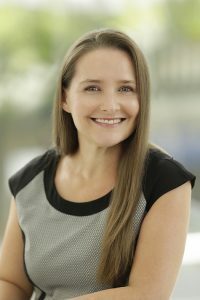 She understood that her extensive knowledge, expertise and passion could be used to create a successful firm that operated with transparency and integrity, that provided excellence in advice and service, and that could give back through providing opportunities to people from diverse backgrounds and through charity.